Technology has ensured that we can live in an always-connected world. It has also ensured that we can live in a world where we are always distracted, our minds able to wander to places far distant from that which we actually inhabit. We can choose to ignore the moment in which we live. Perhaps we have always found ways to do this – people daydreamed long before they hung out on Facebook – but the lure of technology and digital media is making it all the more compelling for us to allow our attention to be taken away from that which is right in front of us. So perhaps it is not surprising that one of the most talked-about concepts in marketing (and business circles) this year is one that advocates living in the moment, and gives us tools for ensuring that we can. Mindfulness is itself centuries old, but perhaps in 2015 its time has come, as the antidote to the always-connected, never-present world. 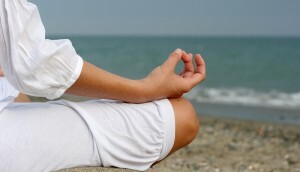 For more on mindfulness and its application in business, check out my latest article for CMO.